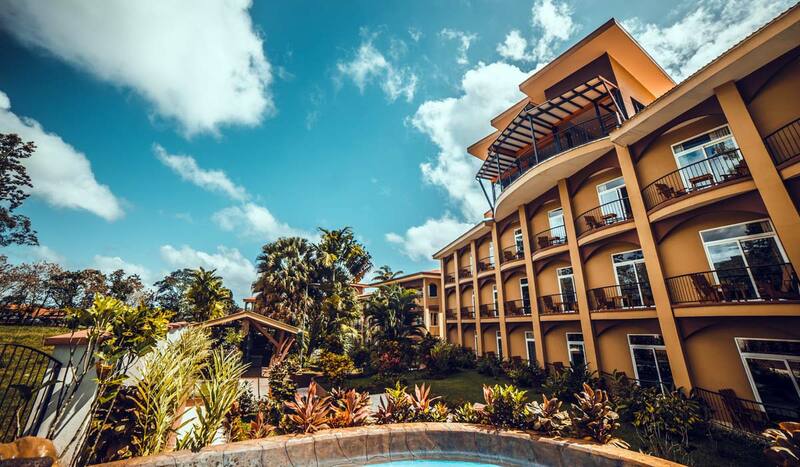 For the convenience of our guests, The MAGIC GRAND SPA offer 2755 square feet of space in La Fortuna in which to reenergize and rejuvenate without ever having to leave the hotel. The spa offers a soothing array of services that range from different massage techniques designed for both men and women including, massages, facials, waxing and body treatments. Every experience can be customized to the desires of our guests to provide the perfect escape from the city, whether it’s for a quick massage or an entire day devoted to absolute bliss. For added comfort, our spacious SPA are equipped with Sauna, Jacuzzis and facilities such as fine Lockers, plush robes, towels and couples suite rooms with privet Jacuzzi. Magic Grand Spa provides peaceful rejuvenation for the body, mind and soul. La Fortuna Luxuries Spa. Hotel Magic Mountain- Costa Rica.